sock prØn. : Days of mini-posts and roses. Days of mini-posts and roses. i. "what i did on my labor day vacation." I spun *all* weekend. Even outside in the sun (yo quiero mi Joy!! ), watching my kid play with other little people. 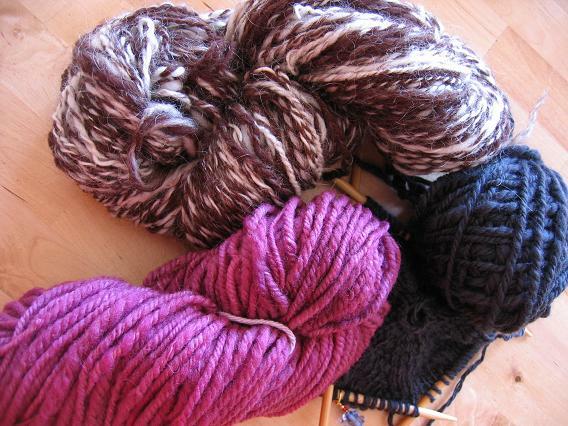 The white turned into the pink navajo plied skein, the black in navajo ply and another little hat in the making, and the brown/white is 2 ply. Is navajo plying the best thing ever??! Survey says, yes! :) Its not terribly awesome looking at this point, but my goodness my guinness is it a miracle to watch and supercool to execute! Makes me almost not be afraid of ::gulp:: crochet as much. 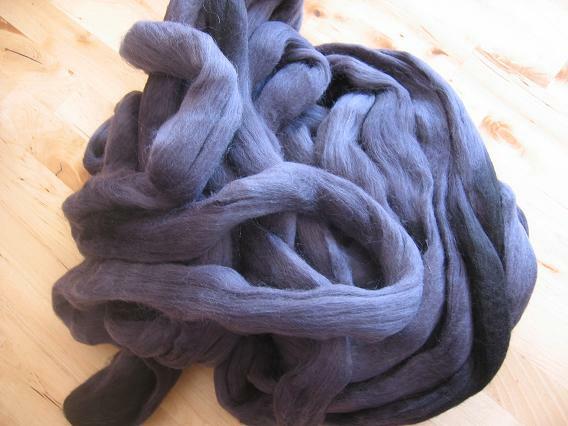 I dyed the navajo plied white skein in acid dyes, pink and a twitch of black. I think it may be a nice (gasp) HAT for me, sometime. The brown/white should stripe in places and remain marled in others, I'm thinking a hat for a big head or a chunky mittens would be best (90 gm and not soft enough for scarf stuff). ii. "my mailman missed me." 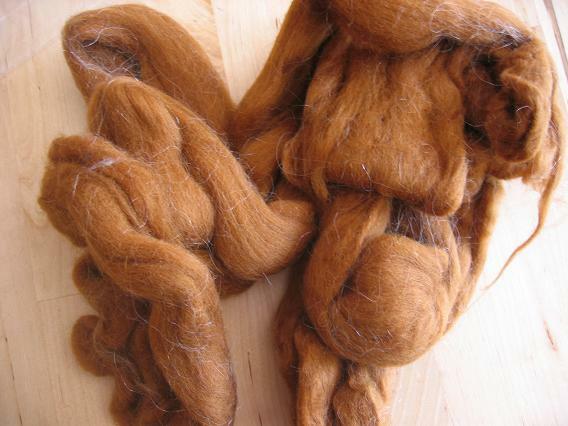 Brown Sheep roving mill ends, from The Sheep Shed Studio. $7.50/lb, a pound each of "medium brown with wide stripes" and "grey with black dye error." Dude. 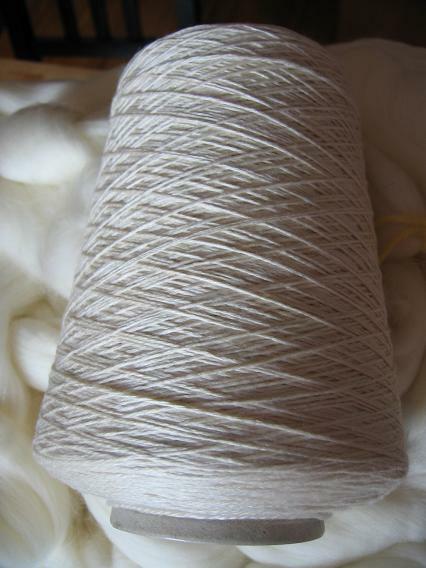 (The brown/white 2 ply above was from the roving pictured here). All are uninterrupted looong strips of roving, no breaks... except for the little extra more-brown bit at the front of the brown/white picture-- that was quickly felled in my first navajo ply attempt. No pics, the horror! iia. 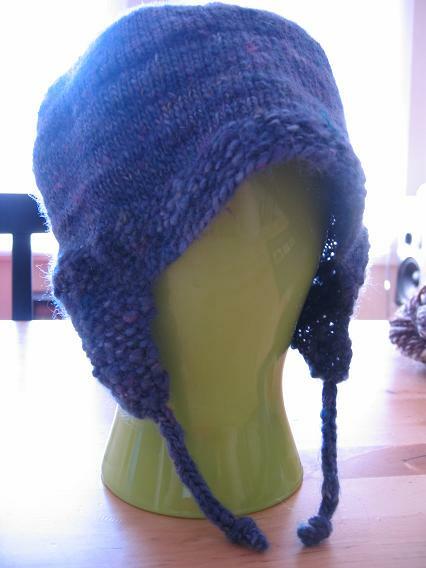 "what i did with my knitty honorarium." The honorarium I received from my Summer 2006 knitty pattern went to help pay for all this undyed glory here :) It just arrived and I'm in love. Last time I checked, that's not my kid's head. No no no no NONONO, he doesn't want to wear it. Oh well. Too bad I've already started another (the black, above) :) I see a lot of top down hats for my big headed kid in the near future, nice way to eat up the practice yarn without guilt. I also started working the leg on the addis so I could easily try them on as I went along, but I find it takes me soooo muuuuch loooonger to knit one sock on 2 circs than I'm used to (used to 2 on 2), and its driving me a little mad. I may just put them back on the dpn's and knit them onto addis during the rounds I want to try them on. "Best Sock Blog" via Lucia's "Addict's Choice Knitting Awards"
...the non-staged pics are the best, even when they show the house in disarray. Monkey see, monkey do indeed-- I'm raising a spinner here! Have a good week yall! 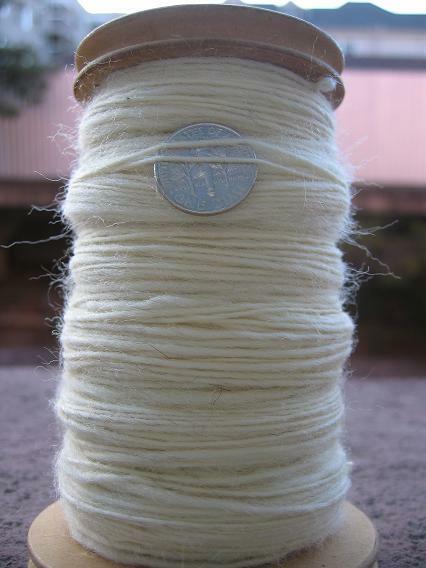 Labels: dyeing, fiber, knitting with handspun, spinning, vintage stockings, who me? He's soooo cute and looks very professional indeed! Bet he can spin better than me. My littlest one especially hates hats (tho he's getting better), and I always went with hats with earflaps that I could tie on his noodle. Too bad about having to rip back the stockings. Stuff like that's always a bummer. Looks like you had a wonderful time spinning. Got some purdy hand-spun yarn there, girl! Don't take this the wrong way, but I want to touch your fibre ;) It all looks so good!! Sorry about the socks - better to do it over and like them in the end though, right? Your son is PRECIOUS by the way. I guess you've gathered that by now. You deserve every penny of that Knitty honorarium and more. Great choice of how to spend it! RPMs are on my must knit list. Did you see that Anna http://autoscopia.com/amelia/ made your pattern? What an amazing weekend you had. 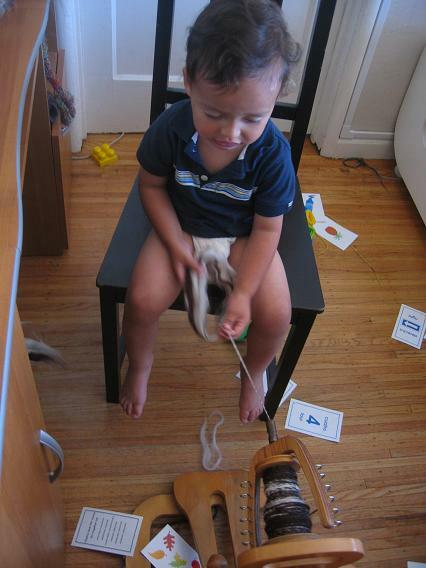 Handspun yarn by your own hands, knitty honorarium, and a child who spins. Heck, I was just excited to be able to sleep 10 hours between Saturday and Sunday. What can I say? Total yum. Yum. Yum. Yum. Sounds like you're having a truckload of fun -- good on ya. Ohmigosh! That's a lotta fiber! Navajo plying is the best thing ever. I feel like I actually know what I'm doing when I pull those long chains through. I kool-aid dyed some roving a few months ago. It helped to shove the roving in pantyhose. It kept it from getting too agitated. you are so brave to frog the socks. I can't imagine. and wow, congrats on all the reco. the V&A site, oh boy baby- that's arriving! love reading all your good news and great pix of the raw stuff. OH MY That lovely merino!!!! h,mmm now is there any roving left for $7.50lb??? I never find stuff like that... 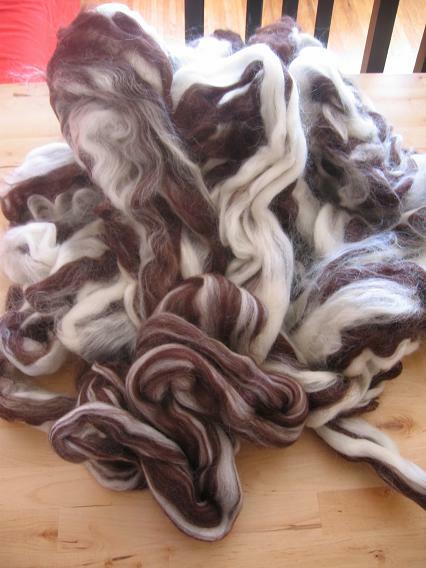 I learned to purchase fleeces and hand comb and spin before I was introduced to roving....Lucky you! You are doing so awesome! Navajo plying already, you go girl :) All your stuff looks great and you have the cutest little man ever! Wow! That's a whole lot of fiber in one post and it all looks so yummy. I really love the picture of your little boy spinning. Way to go! 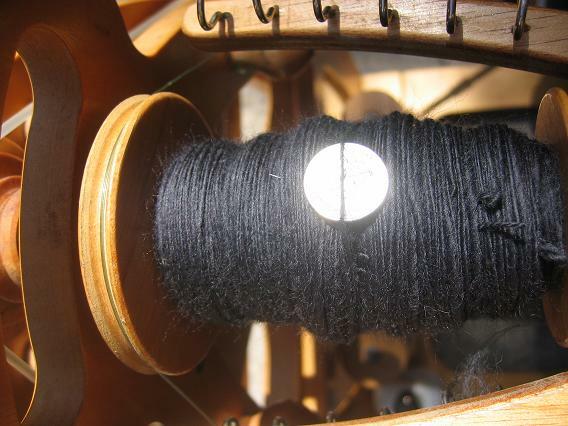 Looks like the spinning is going well. The boy looks like he's getting really into it as well. The socks/stockings seem to be coming along great! I want to jump in that 5 lb bag of fluff. The boy is WAY too cute at the wheel!! There you are! I love the hat, and I love all the yarn - it looks great! Glad to see you're having fun with the wheel....even more glad to see you're not the only one! 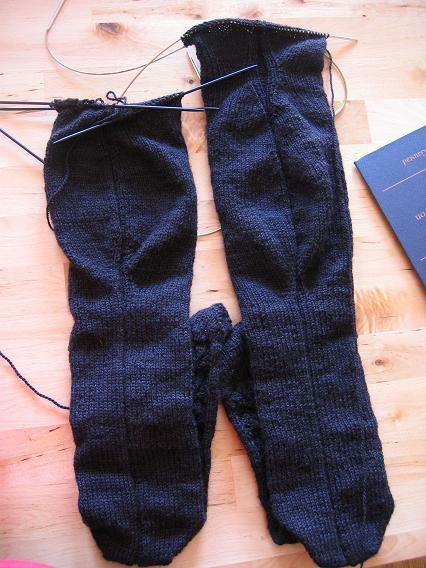 too bad about the thigh-highs meeting the frog pond part way, but after all that knitting, may as well do them perfect! 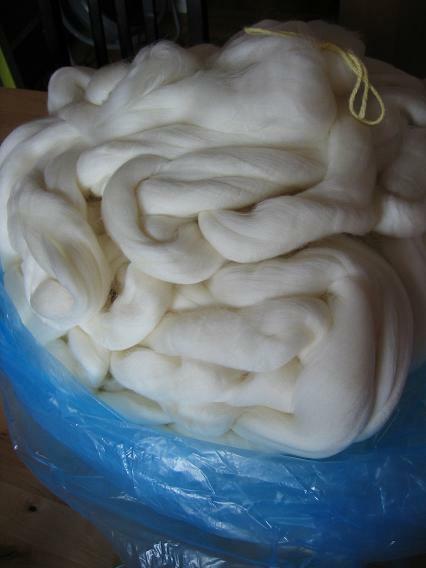 5 lb bag of roving!?! OMG!!! Glad you're having fun learning to spin. And cute cute cute little boy! I thought you knew nothing about spinning! Holy shizit! You're awesome. I haven't tried dyeing superwash. Check over at Hello Yarn. She uses it and loves to spin it. I think she has a dyeing link on her blog, too. The Twisted Sisters Sock Workbook also talks about superwash, and gives good instructions for dyeing rovings using three different methods. You son is so adorable!! A real cutie patootie for sure! !